Happy Friday! I decided to start up another new series this year. Something I noticed last year was that I tend to censor myself a lot. Anything too personal (or with too much of my very odd sense of humor) gets cut. 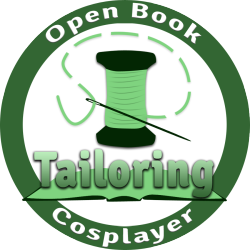 I’m trying to include more of these things, because hey, I do have some interests outside of sewing that I’d love to share. Since I’m basically obsessed with Instagram, I thought it’d be a good way to share my work and more of my life! Plus, short(ish) post. Boom. 1. I put up a book display at work on the 1950s. Our theatre department had some beautiful 1950s garments on loan and let us borrow one for the display! I absolutely adore this dress and totally wish it was in my size! 2. I absolutely love this moogle hoodie. I made it intending to take it to PAX South. I’m not going anymore, but it’s still a fun hoodie that I enjoy wearing around the house! 3. My client sent me photos of his Stanley Tweedle costume! I was kind of nervous about this costume since we didn’t have a chance to do an in-person fitting, but it worked out okay! 4. I read a lot of comics and comic related books this month. Image comics were my go-to this month, and I finally read Alex + Ada. If you liked the movie Her, you’ll definitely enjoy this comic. 6. I made lots of progress on Captain Marvel! I intended to wear her to a charity even on January 1, but was plagued with the flu 😦 On the plus side, she’s nearly ready to go for my first con of 2015! 7. The BF’s sister is a fantastic cook and made us so much delicious food while she stayed with us. Eggs Benedict galore. 8. We adopted a new puppy shortly after Christmas! His name is Thor and he’s a 6 month old labrador mix. When he came home with us, he had kennel cough. After many expensive vet visits, we found out he also had pneumonia. After a couple days at the vet hospital, he’s feeling great and loves giving out puppy kisses. 9. 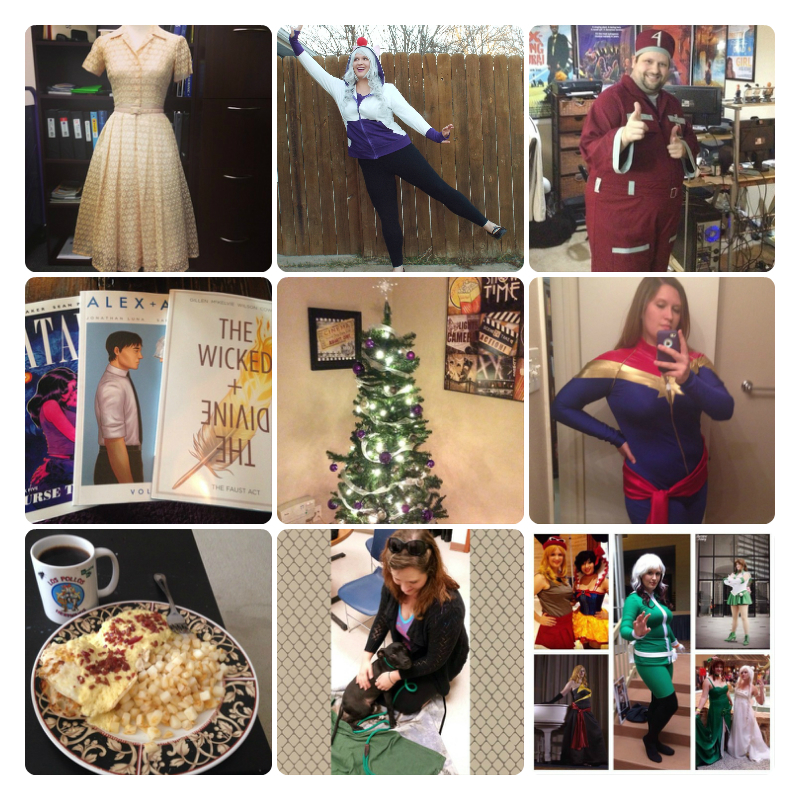 After totaling everything up, I realized I made 14+ costumes last year! I’m still floored that happened. Are you on Instagram? If so, please share your username! I love seeing all the cool things you guys are up to (and let’s be real, “stalking” all you cool people 😉 ). Your Captain Marvel looks fab! I can’t wait to see it finished! Thanks! I am too. He’s pretty much back to 100%. I had no idea how common kennel cough was with newly adopted pets. Almost all my friends and family with adopted pets had it! Good to know for future pets. Yep, it definitely is good to keep in mind. Those puppy meds can get expensive! Glad your little guy is doing better! We’re on Instagram and follow your account. We love seeing all the cool things you’ve made and find your basics 101 blogpost series extremely helpful! You can stalk us at http://www.instagram.com/RPGAdventurers. 😀 By the way, I wanted to ask for a 2nd opinion on a spandex costume I’m working on. Would you be willing to take a look and troubleshoot where I should place the zipper? Looks like a fun month! I love the moogle hoodie 🙂 Hope you are having a great weekend!